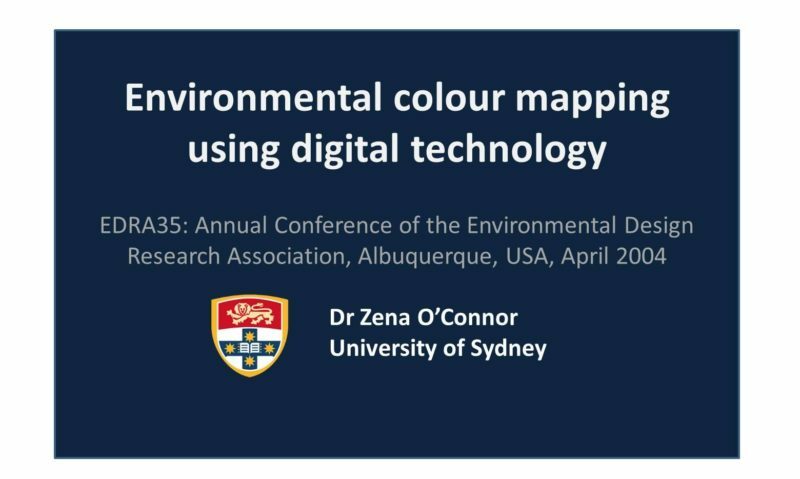 This conference paper described the environmental colour mapping process and how I applied it using digital technology in the preparation of my PhD research visual stimuli. Environmental colour mapping had been used and applied by previous researchers as detailed in my conference paper; however, I was the first to apply Photoshop couple with digital technology in the process. If you would like a copy of this conference paper, please email.